Make This Your Home. Sought-After Community. Call For Viewing. 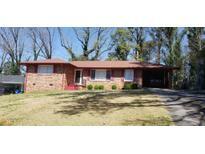 MLS#8547257. Truitt Realty Services, Llc. Property Sold As-Is, No Sellers Disclosures. MLS#8547263. Atlanta Peach Mgmt.& Realty. This Home Has A Storage Unit. MLS#6521437. Keller Williams Realty Metro Atl. Hurry This Home Wont Last Long! MLS#8527775. X Factor Realty Group Inc..
Waldrop Park - Call Today For An Easy Appointment. MLS#6521820. Berkshire Hathaway Homeservices Georgia Properties. Providence Townhomes - Minutes From I85 & I285, Ga 400, & Hwy 78 MLS#6520952. Keller Williams Rlty, First Atlanta. Talley Street Lofts - Tranquil Pool, Gym & Gated Parking! Walking Distance To Restaurants & Shopping! MLS#6521032. Keller Williams Realty Intown Atl. Longview Walk - Photographs Are Of Similar Staged Floorplan MLS#6521071. On Point Realty, Inc..
Longview Walk - Photographs Are Of Similar Staged Floorplan MLS#6521095. On Point Realty, Inc..
Longview Walk - The Master Bedroom Is On The Main Level With An Large Master Bathroom With A Double Vanity And A Glass Shower Overlooking A Garden Jet Tub. MLS#6521067. Jar House Llc. On The Bus Line. Do Not Disturb! Tenant Occupied! MLS#6520696. 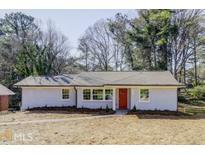 Hmy Realty Group, Llc..
Amazing Location Near Emory, Cdc, Va, Decatur & Walkable To The Path. MLS#8544417. Berkshire Hathaway Homeservices Georgia Properties. Lauren Parc - Hurry This Cute Unit Won'T Last! ! MLS#6519593. Chapman Hall Realtors. 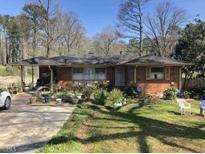 Sweet Private Low Maintenance Fenced Back Yard In A Most Accessible Convenient Location In Metro Atl Near Emory, Cdc And Walk To Pubs, Coffee & Eateries Around Red Hot Decatur. Thoughtful F-Plan MLS#8543381. Atlanta Fine Homes Sotheby'S. 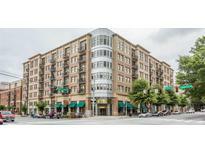 White Oak - Great Location Just Minuted From All Downtown Decatur Has To Offer As Well As Krog Street! Gated, Too! MLS#6519575. Simple Showing, Inc..
Miller Woods - Do Not Miss Out On The Large Backyard With Producing Fruit Trees, And A Variety Of Herbs. Agents Your Buyers Must See. MLS#8543074. Savoia Realty. Come And See This Adorable Home. MLS#8542972. Red Barn Real Estate Llc. Perfect For Investors Looking For Income Potential! MLS#6518503. Metes And Bounds Realty, Llc..
Bring All Offers! Let'S Put Something Together. MLS#6517497. Century 21 Connect Realty. Brianwood - Near Choa, Emory/Cdc, Decatur, I-85 And I-285. MLS#6516346. Re/Max Metro Atlanta. September Chase - Serene Setting So Close To Great Shops And Restaurants. MLS#6516652. Palmerhouse Properties. Talley Street Lofts - Contemporary, "Sunny-Side Up" Loft Is Just Steps From Everything Indie-Catur And Boasts More Square Footage Than Many 2 Bedroom Condos. You'Ll Love It Here! MLS#6516762. Bhgre Metro Brokers.